The broth at Kokuu is made from chicken and seafood which results in a clear and light soup that is lovely and refreshing, or as the Japanese might say “sappari”, meaning that it’s not the oily kind. 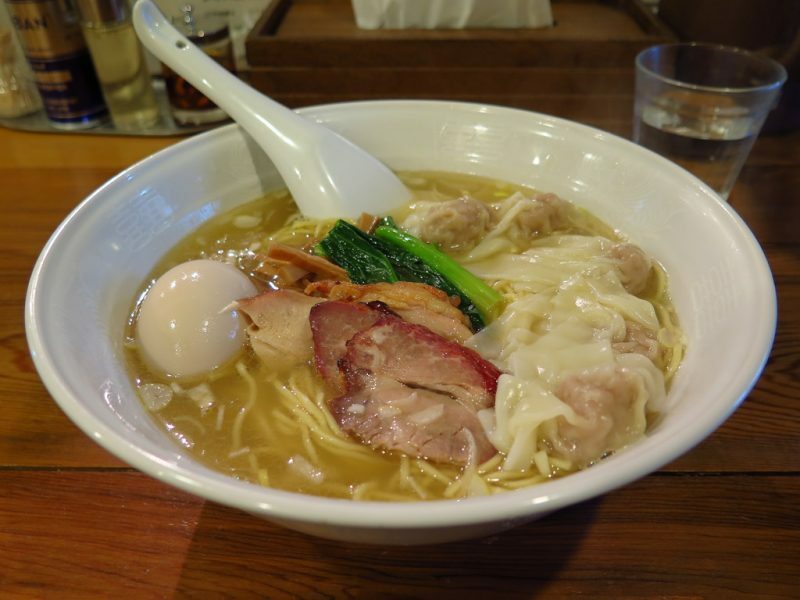 The most popular topping here is wonton dumplings which complement the noodles perfectly. It has great reviews and is a highly recommended place to go in Shibuya. It’s not obvious from the street and can be a little tricky to find.